The Story: Following a traumatic incident involving a bauble when he was a baby, Mouse now only sees the danger lurking in Christmas. Can his friends convince him that Christmas is a time for fun and frolics? Or will Mouse forever fear the festive season? 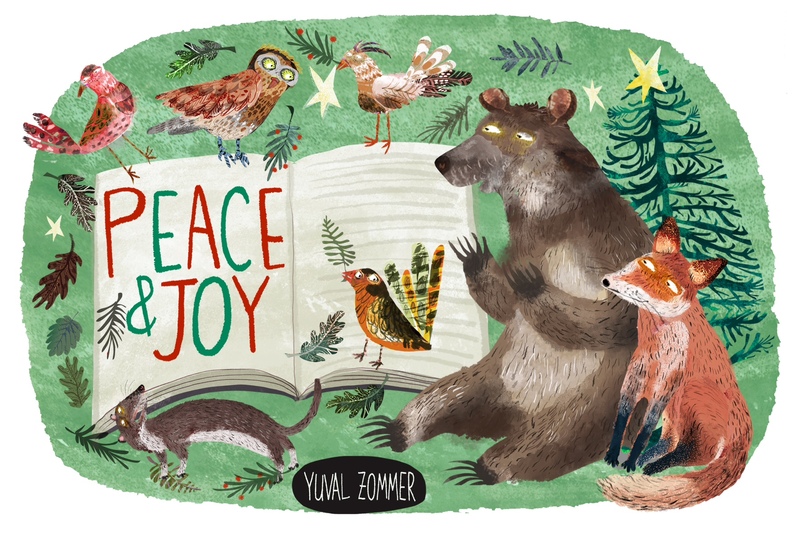 Why is The Mouse That Cancelled Christmas your favourite Christmas book? This book is a family favourite and is one of the two Christmas books which wasn’t hidden away come January. My sons love the fact that poor Mouse gets crosser and crosser as his friends enjoy Christmas in increasingly dangerous (in Mouse’s opinion) ways. I love the fact that it makes fun of the health-and-safety obsessed society we seem to live in. The added Christmas sparkle and magic round off a very sweet and funny story. Can you describe a favourite illustration or give a favourite quote from the story and tell us why you chose it. I love a succession of images at the start of the book where Mouse is getting more and more frustrated with his friends and shouting louder and louder at them – he’s practically popping off the page with rage. My favourite part to read is when Mouse tells the rabbit choir off for singing too loudly and they sing their response. At this point, I imagine all the classic Christmas carols and belt out their parting line with panache! I’m a teacher, parent and avid book-lover who began blogging at Library Book Boy and Girl in the hope of helping every child find the perfect book to start them off on their journey towards becoming a lifelong reader. There are several books which I’ve been wishing for this Christmas. I’d really love to receive ‘One Christmas Wish,’ by Katherine Rundell, illustrated by Emily Sutton. I also really wanted ‘Father Christmas and Me,’ by Matt Haig, illustrated by Chris Mould, but couldn’t wait for that one to be delivered by Santa so had to buy it for myself (it’s brilliant)! This sounds like a fun book. It’s nice to see another side to Christmas rather than just pretty perfection. It does sound like a good story to instigate that kind of discussion, there’s so much promotion of Christmas as a wonderful time of the year but for some children the deviation from routine and the festive excitement can also cause stress.